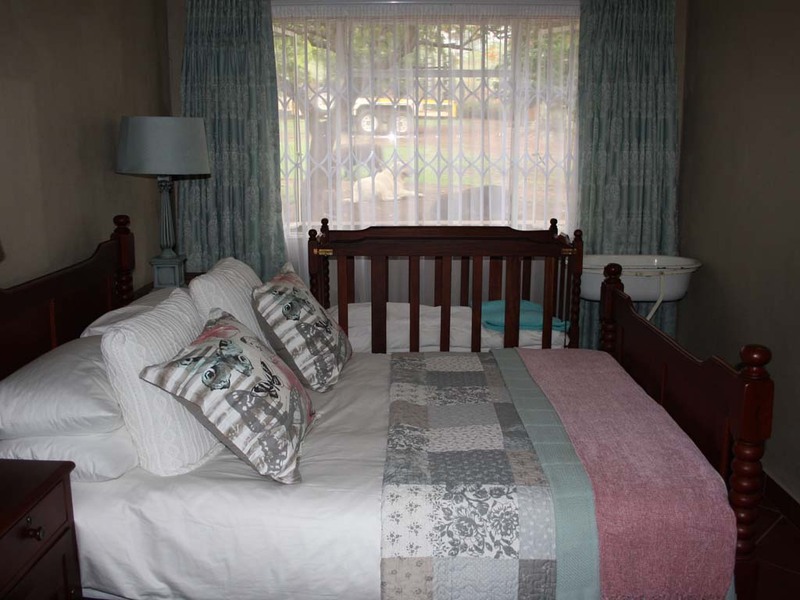 Karlien comes with a en-suite bathroom with a shower, as well as tea and coffee making facilities. 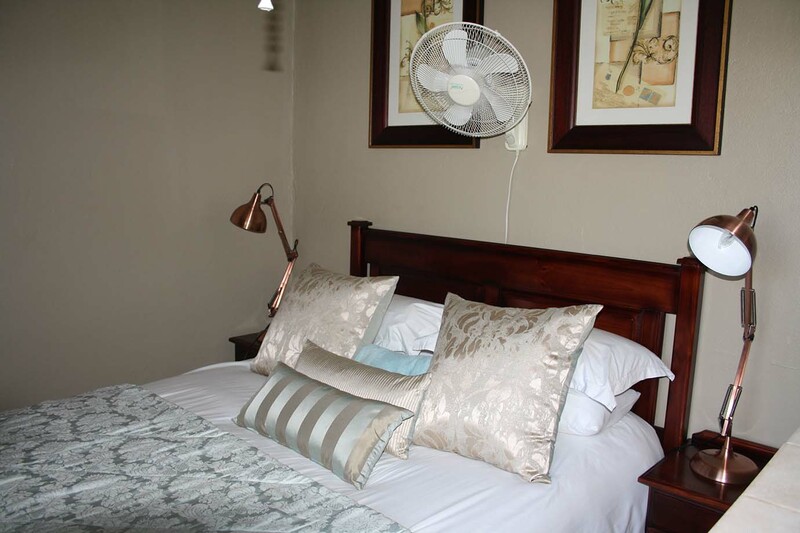 Karlien is a spacious room with a queen size bed. Amoné comes with an en-suite bathroom with a shower, as well as tea and coffee making facilities. 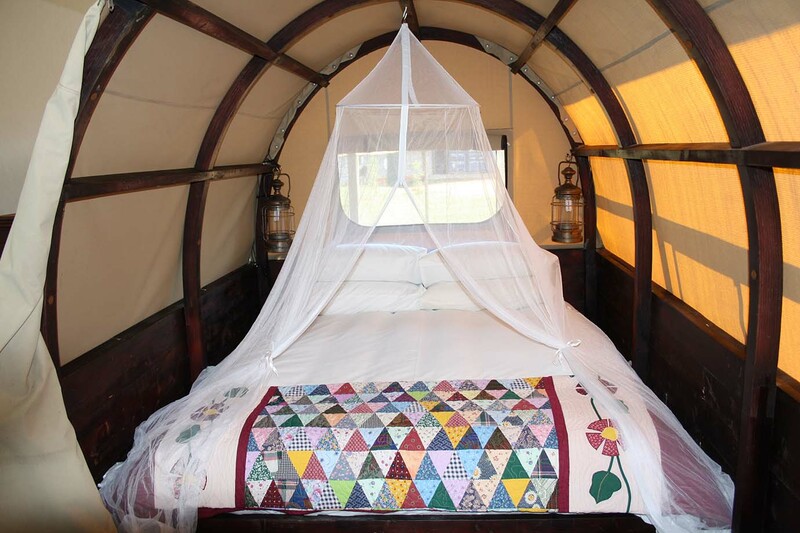 Amoné is also equipped with a double bed. Lizé share a separate bathroom with a shower, bath and toilet. 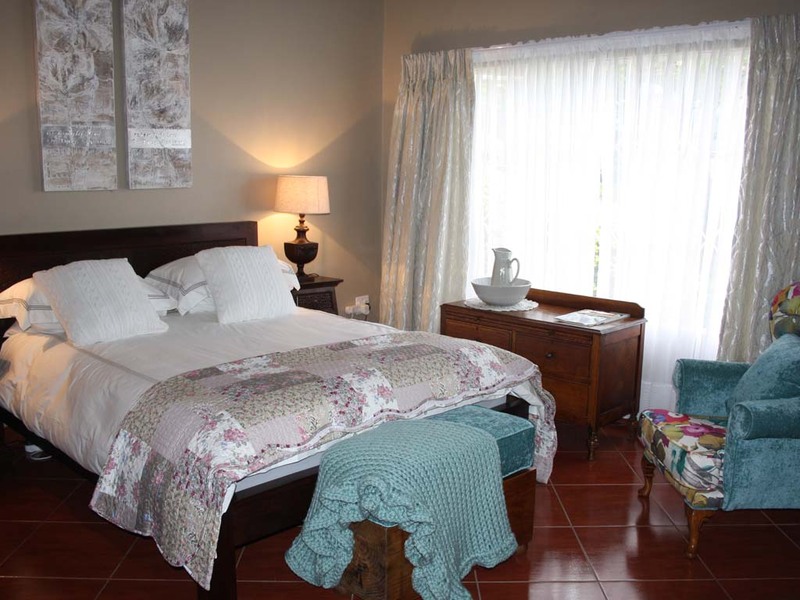 Lizé has a single bed and also comes with tea and coffee making facilities. Dané, share a separate bathroom with a shower, bath and toilet. Dané is equipped with a double bed. Both rooms also tea and coffee making facilities. Shanlyn is a small apartment next to the house with a shower, bath and toilet. Shanlyn is equipped with a double bed. Tea and coffee making facilities are available. Retief is an Oxwagon turned into a small room and is seperate from the other buildings that has its own kitchen & bathroom. 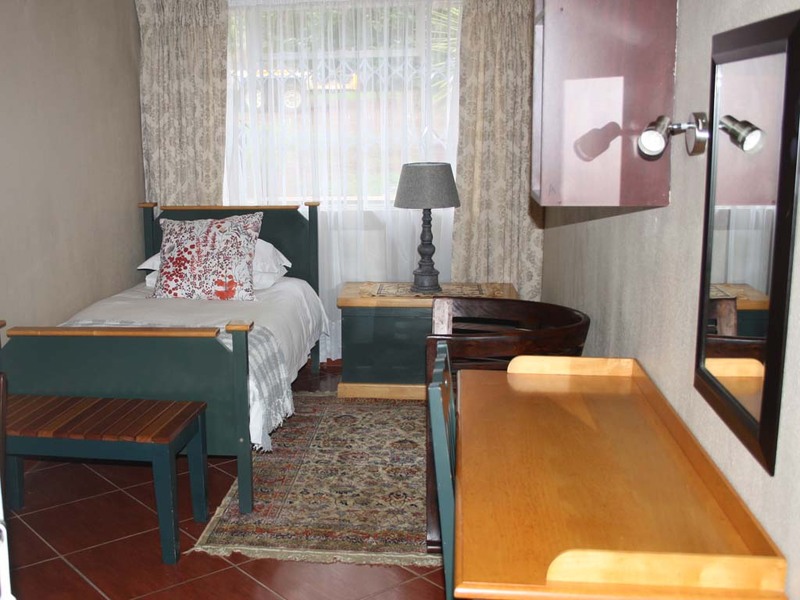 Retief is equipped with a double bed. Tea and coffee making facilities are available. Safe parking with under roof parking is available. Pets are welcome (please make prior arrangements). They can even stay for free. Non-smoking in Guest House, Guest lounge, Family rooms, Air conditioning in rooms. 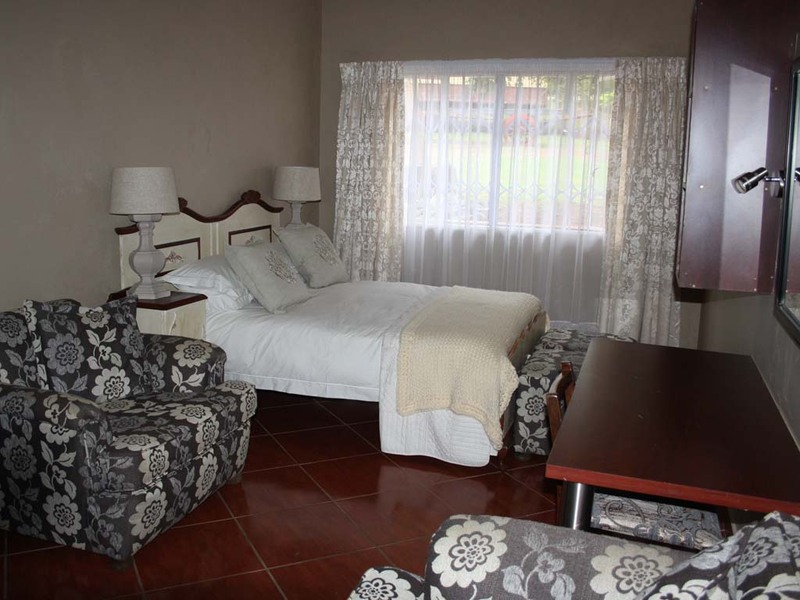 Near by activities in White River: Horse riding, Fishing, Trout fishing, Big 5, Bird watching, Wine tasting, Cycling, Game drives, Wildlife viewing, Mountain bike trails, Swimming. Free! WiFi is available in the guesthouse and is free of charge. Airport Shuttle Service On Request, Braai Area, Play Room, Kitchen Facilities, Laundry Service, Satellite TV, Self Catering, Cleaning Service On Request.